At just 14 months apart in age, brother and sister duo Brandon and Caleigh Richardson have a unique bond – and a lot in common. 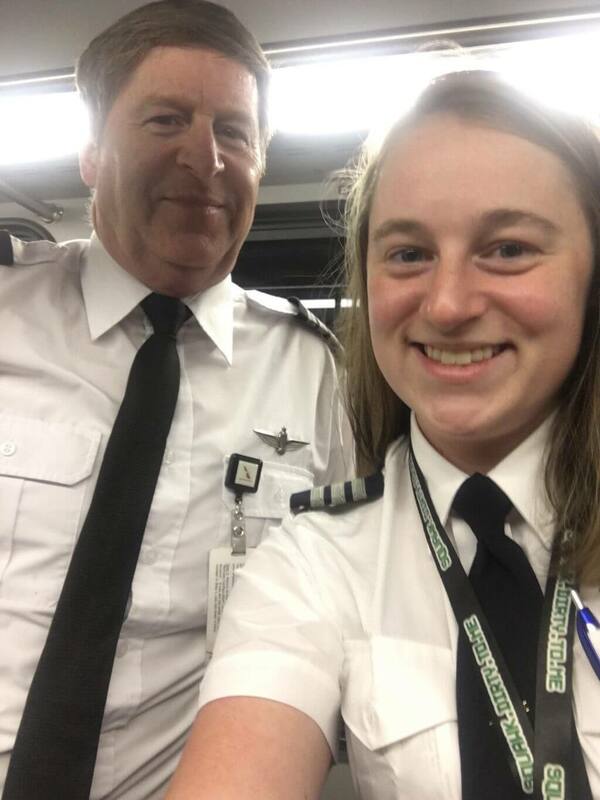 Not only are they both Ameriflight employees, they’re also First Officers flying the Embraer 120 out of Phoenix, Arizona. Coincidence? We think not. 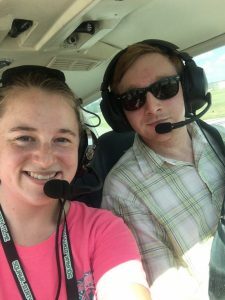 Aviation wasn’t a random career choice for Caleigh or Brandon. They were both drawn to it and some may even say flying runs in their blood. “Our father is a Captain for American Airlines, both of our grandfathers owned their own aircraft and were pilots, and we have several other family members that are pilots, as well,” said Caleigh. 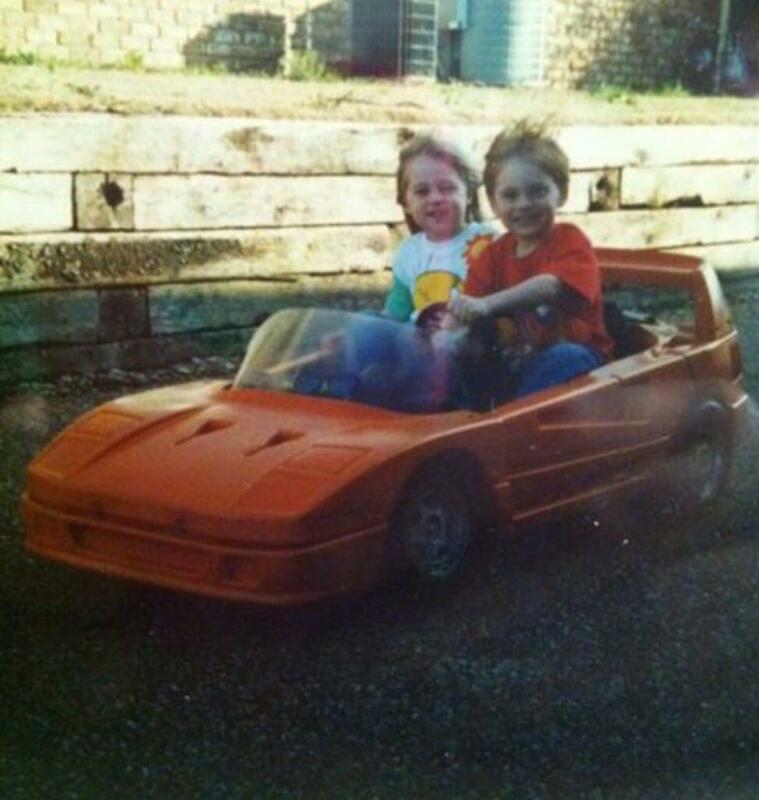 Caleigh and Brandon lived in North Texas for much of their lives, primarily in and around the Dallas area. They moved to Hilo, Hawaii for a few years then back to the mainland in East Texas. Now, they both reside in Phoenix, Arizona where they live and work. Growing up, Caleigh says she and Brandon always had that brotherly-sisterly link. They share a lot of the same likes and dislikes and are both very competitive in nature. It wasn’t until college that they would part ways for the first time, but only briefly. Brandon attended The University of Texas at Tyler, and Caleigh attended Stephen F. Austin University in Nacogdoches, Texas – only an hour and a half from each other. Being 14 months younger, Caleigh was set to graduate a year behind Brandon. That is, until she was introduced to the idea of completing her Bachelor’s Degree in just three years. That’s where that competitive drive kicked in and led Caleigh to finish school a year early and graduate at the same time as Brandon. Luckily, the two have been able to share a lot of experiences with each other. Ones that Caleigh says are special to her and that she’ll always remember. If it seems like the two do a lot together, they do! They have a lot of similarities, their flying goals being one of them. Despite their differences, and many similarities, Caleigh says she is beyond lucky to be able to experience flying alongside her brother. She often finds herself quoting Bubba from the movie Forrest Gump to explain their relationship. “I’m gonna lean up against you, you just lean right back against me. “I know I am beyond lucky to have my older brother be there and experience some of the same exact experiences in life. It has provided us a super strong bond. Brandon is the best big brother anyone could ask for, and it truly amazes me how close we are with one another,” said Caleigh. She says if you ever see either of them out on the line, don’t feel like a stranger, stop and say hello!